Do you want to excel in your business and step ahead of your rivals? Then simple business ideas will not help you much. Think of making it big in storing your data on your very own server. And while talking about servers, you are at the best place possible. We, at Zola Host, are the best enterprise to offer you, your own Virtual Private Server or VPS. Falling in between the two common types of hosting services, including shared hosting as well as dedicate hosting, our VPS hosting makes sure that our server is restricted to your use and houses your files and data. Total Storage Space for your server. Fully managed with free control panel: If you do not want to get into the trouble of setting up and managing your own server and yet enjoy the benefits of having your data managed at a server, hosting your site to a Virtual Private Server or VPS hosting is the best option. 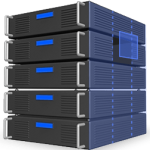 We offer a completely managed data at our server and you will have a free control over all of your data and files. Free Migration Assistant: If at any point of time, you want to shift from one hosting service to another, we are there to assist you. Our expert and dedicated professionals will assist you for this migration, without charging you anything for the best solution and suggestions possible. DDOS protected: Our VPS hosting services are DDOS protected. We make sure that all types of services including SMTP, SSH, UDP/TCP, VoIP, etc. get our DDOS protection to all types of threats. Our cloud based mitigation service automatically detects every possible attack and mitigates them. Guaranteed Resource: At our Virtual Private Server, you will get a good deal of RAM available that can be accessed by you at any time. As you will not have to share these resources with any other of the shared hosting services, you can access and utilize all of these resources at any point of time, whenever you are in need of them. 99.9% Server Uptime: Although our server uptime is best that we take pride in, we also promise and strive to bring an even better service. Full Root Access: Installing a server application and system restart can be too easy for you as we dedicate a complete root access for you to the server. This will help you to restart your VPS without affecting any other the VPS systems.